Translating opera is a multimodal undertaking. Starting off the new year fresh, we’re taking a look at opera, an art form that purports to have it all: poetry, music, costumes, and lots of drama. Opera in translation is ubiquitous, and what originally started as a private performance for Florentine nobles quickly spread beyond the palace walls and around the world with the aid of translation. With so much going on, translating opera is a multimodal undertaking. Our new podcast editor Dominick Boyle talks with Lucile Desblache, a professor at the University of Roehampton in London who led the project Translating Music. She guides us through the history of opera, explaining that translation has been there all along—just in different costumes. We also talk to Amanda Holden, a practicing opera translator who specializes in creating sung translations. She talks about how our image of opera as a boring and staid art form is a problem of translation, and how its true power can be revealed. 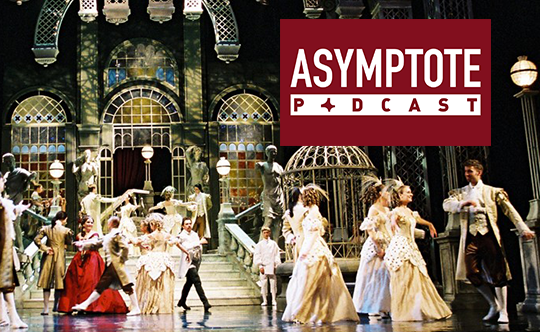 With enough twists and turns to fill an opera, this is the Asymptote podcast. Music provided under a Creative Commons license from freemusicarchive.com and copyright free from museopen.org and europarchive.org.